Google Calendar is an essential app for anyone who needs to manage their time. It doesn’t matter whether you’re working, studying, or even trying to organize a party—the app will help keep you on track. 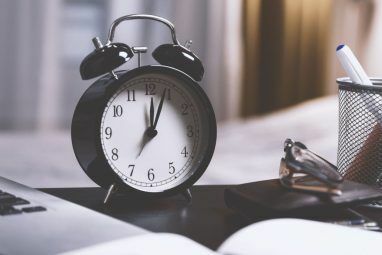 If you work in an office, or just want to improve your time management skills 9 Surefire Ways to Follow Through on Your Time Management Goals 9 Surefire Ways to Follow Through on Your Time Management Goals You want to meet your time management goals but just can’t seem to follow through. These tips and tools will help you take them more seriously. Read More , there are a few Google Calendar features you will find handy. Let’s take a closer look. Out of office replies are hardly a new idea. They’ve been a staple of email services since the technology has existed; they are one of Gmail’s best features 9 Awesome Gmail Features You Probably Don't Use 9 Awesome Gmail Features You Probably Don't Use Several cool email features in Gmail have existed for a long time without anyone bothering to use them. Let's change that today. Read More . However, the feature is less common in calendar apps. It means time management has always been a bit of a nightmare, especially if you’re trying to find free slots across multiple peoples’ diaries. Google Calendar now offers an out of office setting. When you enable it, any meeting invites you receive during the period will be automatically rejected. You can customize the message that others will see, and also control which users will receive the message. You can set up an out of office message by selecting the corresponding tag when you’re making a new event. The feature is currently available on G Suite. Although Google has not officially confirmed the news, it’s widely assumed the feature will roll out to all users in the coming months. Another new feature that G Suite users can enjoy is the ability to manage your working hours. The idea is part of Google’s recent wider push to promote digital wellbeing across its platforms. The company has also introduced tools that manage your app usage on Android, remind yourself to take a break on Android, and spend less time editing on Google Photos. The Working Hours feature allows users to customize their working days on a day-by-day basis. The current approach only enables you to set a start and end time from Monday to Friday. Google can even make suggestions about your working hours based on your previous activity. The smart feature is useful for freelancers who are looking for ways to get their time management under control. If anyone invites you to a business event or meeting during your non-working hours, Google Calendar will tell the inviter that you’re unavailable. To set your working hours on Google Calendar, go to Settings > General > Working Hours. It’s an easy trap to fall into. You look at your Google Calendar and see a couple of meetings with lots of free time in between them. But what about time traveling to and from a meeting’s location? And what about replying to all those emails? And remember you still need to eat too. Time Blocking is a simple technique for both office workers and people who want to improve their time management. At its most simple, it refers to allotting every minute of the day to a particular activity. We’ve looked at the Time Blocking concept in more detail Time Blocking -- The Secret Weapon For Better Focus Time Blocking -- The Secret Weapon For Better Focus Are you looking for a more efficient way to organise your work-days? Try Time Blocking. This time management tactic can help keep you on track while keeping distractions, procrastination, and unproductive multitasking at bay. Read More elsewhere on the site if you would like to learn how to stay on track with your tasks. It doesn’t matter how good your time management skills are; everyone is late for a meeting from time to time. Accounting for every delayed train or traffic hold up is impossible. Thankfully, if you’re running late, you won’t need to worry about letting every other person know individually. Google offers two ways to tell all your fellow attendees about your predicament at the same time. You can either respond to everyone via email using the original invite form. You can send a message within Google Calendar by editing the event in question. 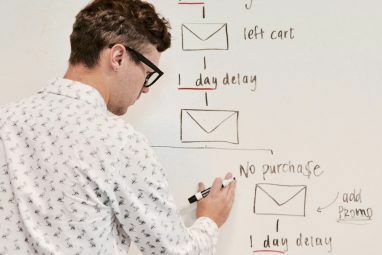 For a more detailed explanation of both approaches, check out our article on how to use Google Calendar to tell everyone you’ll be late for a meeting Use Google Calendar to Tell Everyone You'll Be Late for a Meeting Use Google Calendar to Tell Everyone You'll Be Late for a Meeting Google Calendar can help you let your team members know if you will be late for a meeting. Read More . If you have a work or school Google account, you will be able to use the Appointment Slots feature. It’s a variation on the idea of working hours. Instead of making your entire working day available for people to see, you can designate periods of time when people can organize meetings and appointments with you. It’s useful for bosses who want to host an open-door policy for a few hours a week, or doctors, vets, and lawyers who might host their surgeries and clinics within a narrow window every day. Of course, the feature also helps you manage your time. You won’t be dragged away for an out-of-slot meeting accidentally. You can set an appointment slot by choosing the corresponding tag while making a new event. The jury is still out on how useful meetings actually are. Plenty of people subscribe to the idea that they drag on for far too long. They argue that nothing gets agreed upon and they destroy even the best-laid time management plans. Others think they’re an essential part of project management; without them, plans would quickly descend into chaos. The truth is somewhere in the middle. But what’s absolutely clear is that to stand any chance of having a timely and productive meeting, you need to have meeting notes. They will lay out the outline of what you plan to talk about in a given session and serve a historical record in future meetings. There are a few Google Docs meeting minutes templates The 12 Best Meeting Minutes Templates for Professionals The 12 Best Meeting Minutes Templates for Professionals The minutes of meeting format captures the essentials. Use one of these meeting minutes templates to quickly apply the MOM format. Read More . You can attach them to your Google Calendar event by clicking on the paper clip icon in the expanded meeting view. The minutes will then be available to all the attendees. The ability to access, share, and—in some cases—edit other people’s calendars is an essential part of an office worker’s life. For example, perhaps an entire team needs to edit a single calendar about an ongoing project, or maybe a secretary needs to be able to manage their boss’ diary. It’s easy to access someone else’s calendar, provided the person who owns the calendar has made it shareable with other people How to Share Google Calendar With Others How to Share Google Calendar With Others To share Google Calendar, you can either make the calendar public so everyone can see it, or you can share it with a specific person or people. Read More . To add it using email, locate the list of calendars in the left-hand panel, type the email address into the Add a friend’s calendar or Add a coworker’s calendar field, then press Enter. If you want to add it using an ICAL link, go to My Calendars, click the Add + icon, and choose From URL from the menu. 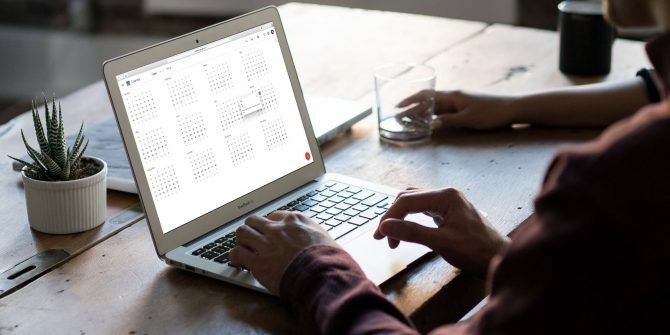 These seven tips and tricks should help office workers improve the way they use Google Calendar on a daily basis, while simultaneously giving you a way to get your time management under control. If you’d like to learn about more ways Google Calendar is more powerful than meets the eye, check out our article on how to use Google Calendar as a personal journal How to Use Google Calendar as a Personal Journal From Today How to Use Google Calendar as a Personal Journal From Today You can use Google Calendar as a journal, diary, or a simple tracker. 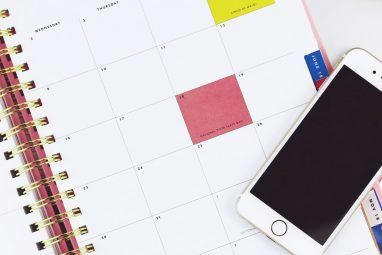 With these calendar tips and tricks, it can be more than a scheduling too. Read More and tag your self-improvement to dates on the calendar.